The All Wales Academic Social Care Research Collaboration (ASCC) is a three year programme funded by the National Institute for Social Care and Health Research (NISCHR). ASCC was developed in response to the Huxley (2009) report which identified a clear need for increased social care research capacity, and greater levels of collaboration between academics, social care policy makers and social care practitioners in Wales. ASCC is made up of three separate but linked projects, based in the Universities of Bangor, Cardiff and Swansea. The Cardiff ASCC project is led by Professor Ian Rees Jones, WISERD. The original ASCC Cardiff project: Social Care and Social Work Research Skills Capacity Building, the WISERD E-learning Initiative, ran between September 2012 and June 2014. The aim of this project was to explore the use of e-learning resources as a method for developing research skills within the Social Care sector, with a particular focus on social workers. In order to ascertain the role of research within the sector and the potential demand for research skills training, the ASCC team carried out a series of interviews with social work practitioners and managers and organised a number of focus group meetings and events. The findings of this research indicated that whilst consumption of research was a necessary component of a social workers role, social workers had differing views of what actually constituted research; and the need for research within the sector was often related to immediate problem solving rather than long term evidence gathering. Moreover undertaking research was not seen as a key priority and given other time commitments, did not fit into the average social workers role. A report on the first phase of the project is currently being prepared and will be published via the ASCC website (www.ascccymru.org). The ASCC Cardiff team are now undertaking an additional project: Adult Social Care and the Foundational Economy. 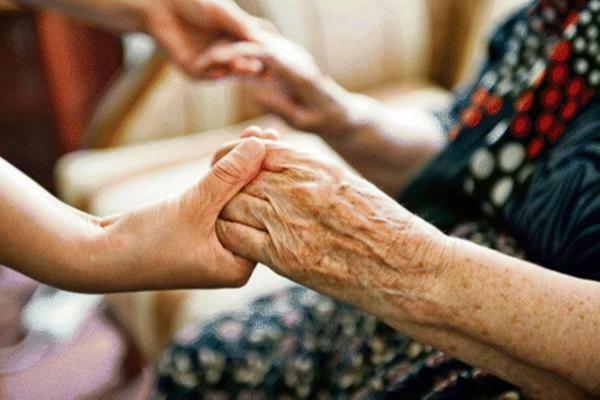 This project is examining existing provision and the scope for innovative delivery of adult social care by means of social licencing, social enterprises, co-operatives and not for profit organisations. The project is rooted in the arguments for a ‘Foundational Economy’ (Bentham et al 2013; Law and Williams 2014) and involves collaboration with colleagues in Manchester, Durham and Queen Mary, University of London. Research is being undertaken to explore the current extent of not-for profit sector provision in Wales and compare this with other regions of the UK and Europe. The team will also be undertaking analysis of standard UK adult social care agency business models and investigating their consequences for the extent and quality of care and for employment conditions (including pay and hours). The team will also seek to collate evidence on the potential benefits of a foundational economy approach and the scope for innovative changes to work and the broader organisational aspects of care. Lastly, case study work will be undertaken in Wales; in tandem with a comparative case study in London funded by Enfield Borough Council; to assess and identify mechanisms and policy interventions that enable Local Authorities to shift towards not-for-profit provision. In addition to the research element, the project will also include a significant capacity building element, with a number of workshops, seminars and focus groups planned, the first of which will take place at the WISERD Annual Conference on 30 June – 2 July 2015 in Cardiff. The project will make an important contribution to research on the social care sector in Wales and the UK. In delivering the project, the team will utilise a range of methods, including: reviews of relevant UK and international literature, interviews with key stakeholders, analysis of routine data and geo-spatial data, economic and organisational modelling and comparative policy research. The project will build on the skills and knowledge available from a multi-disciplinary steering group and in addition, through collaboration, it will aim to establish a lasting and unique network of researchers, policy actors and practitioners working in the field. About the Author: Dr Luke Cowie is a WISERD Research Fellow, based at Cardiff University. An experienced qualitative researcher, Luke has undertaken research into various topics relating to health and wellbeing. Whilst working on the ASCC project he will be conducting a review of the relevant literature and conducting a comparative case study on several such models of social care provision in Wales.